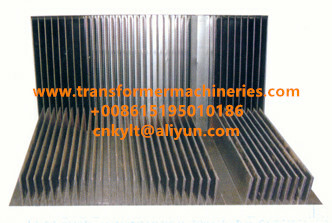 Corrugated Fins Wall also named Corrugated Wall is one part of distribution transformer tank body. 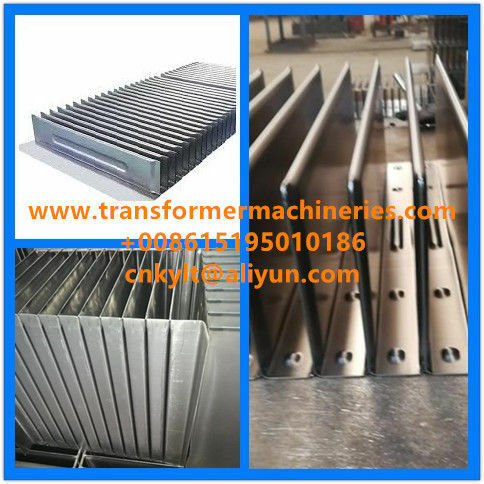 JTFY has Fully Automatic Corrugated Fin Walls pressing/folding/forming and welding machines for distribution transformers, with all the state of the art technologies. We can manufacture corrugated walls with different profile, with spot welding, with strip. Following the indications on the customer’s drawings, all kinds of bending may be carried out, on either side of the wall or on the whole wall, so that the tank construction may be completed with only one weld. JTYF Fins Walls are manufactured with SPCC STEEL SHEET material height range from 400mm up to 1600mm, with thickness of 0,8mm – 1,0mm – 1,2mm – 1,5mm and with a depth of the fins from a minimum of 40mm to a maximum of 400mm. On the Fins we could apply both embarrassments, to make stronger the fin wall, than spot welding, in order to grant an higher oil pressure resistance of the entire tank. 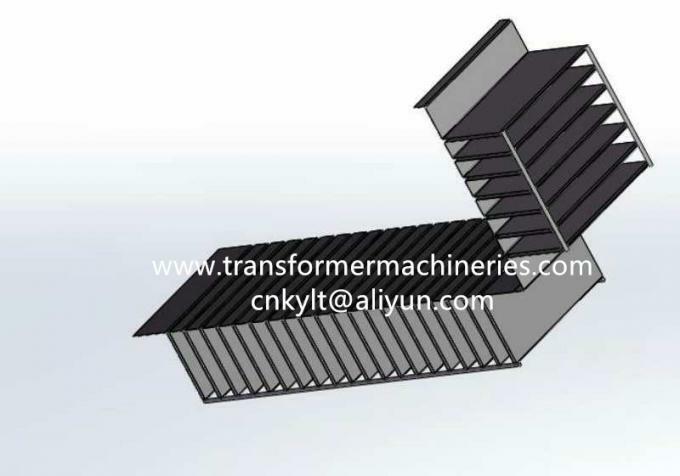 JTFY can manufacture also corrugated walls with full automatic. A better configuration of the space inside the fins in order to make the oil circulate better, helping the whole heat dissipation of the tank. On the corrugated walls JTFY can apply a metallic strip that help the welder during assembling operations and welding processes, giving to him a perfect straight shape to handle and a strength edge resistance. 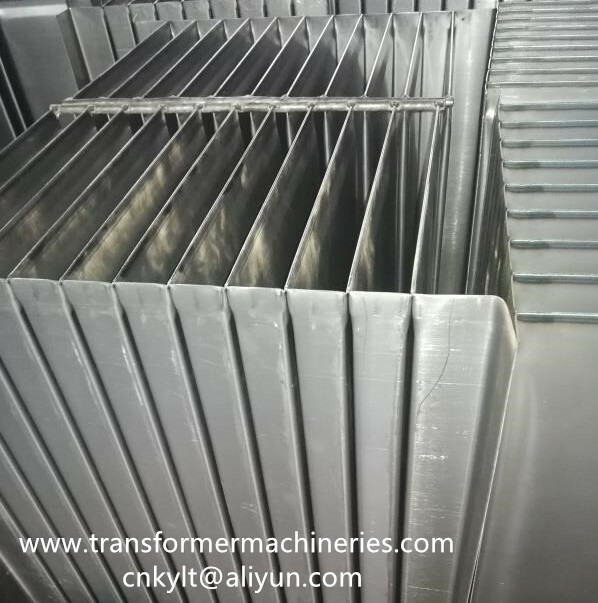 In the end JTFY can perform bending on the edge sides of the corrugated wall or bend directly in the middle of the fin wall that may be an half tank, saving time during welding operations. 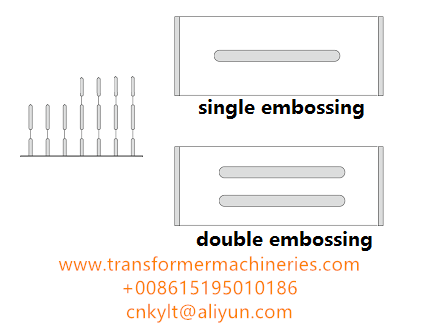 Now JTFY can produce Single, Double,Bottom Embossing Corrugated Fins Wall.The embossing has been designed to make the corrugated walls more stronger, especially in the big tanks where the pressure of the oil is huge and where the depth of the fins is high. 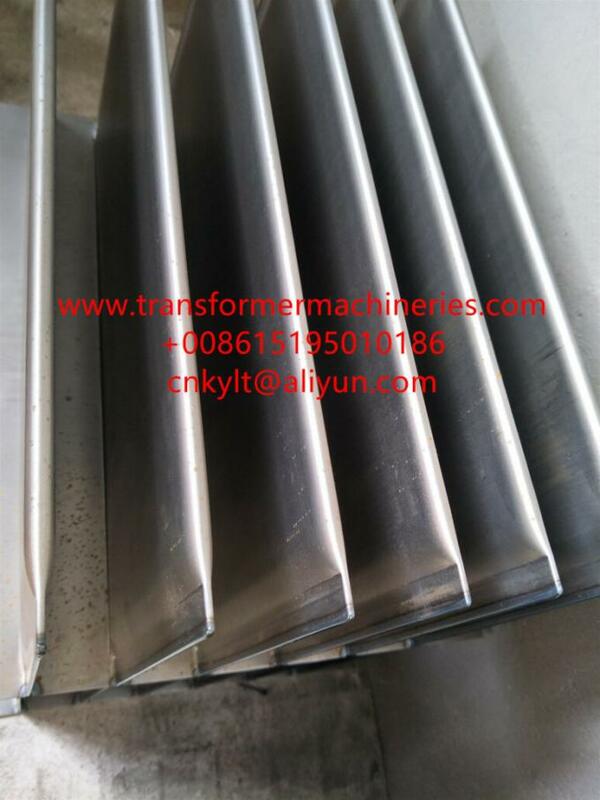 1.JTFY Full Automatic Corrugated Fins Wall Pressing and Welding Manufacturing line.